When will be Footy Flashbacks next episode air date? Is Footy Flashbacks renewed or cancelled? Where to countdown Footy Flashbacks air dates? Is Footy Flashbacks worth watching? Footy Flashbacks Sunday 2:00pm in Melbourne, Adelaide and Perth.Channel Seven's Sandy Roberts will be taking footy fans down memory lane with Footy Flashbacks on Sundays at 2pm. The one-hour show will take a look back at some of the most memorable and dramatic AFL matches in living memory, including the 1989 Grand Final Hawthorn vs Geelong and 1979 Grand Final Carlton vs Collingwood.The show will feature either one or both sides playing later that day on Seven's AFL Sunday match. 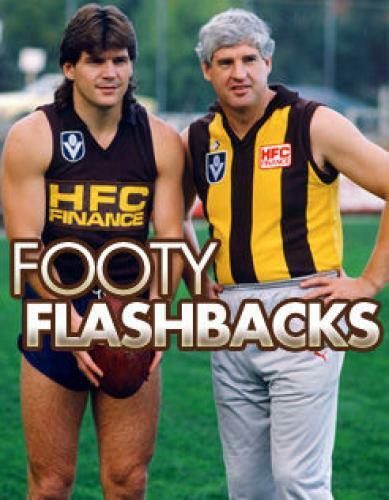 Footy Flashbacks next episode air date provides TVMaze for you. EpisoDate.com is your TV show guide to Countdown Footy Flashbacks Episode Air Dates and to stay in touch with Footy Flashbacks next episode Air Date and your others favorite TV Shows. Add the shows you like to a "Watchlist" and let the site take it from there.